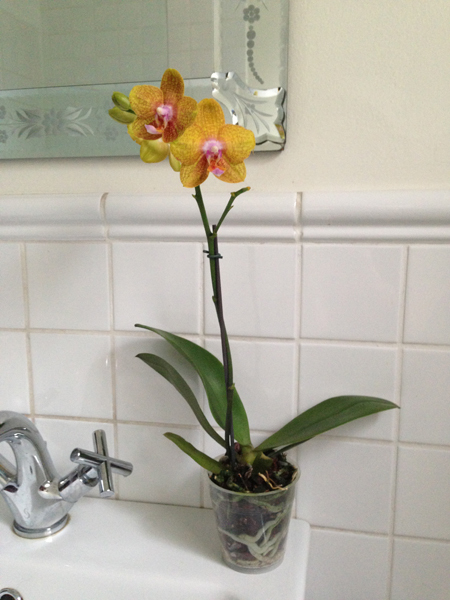 Bought a new orchid yesterday, just from the SPAR, not super fancy but I love the colours. I usually go for plain white or white and purple so this is out the box. I am crazy about orchids, I think if I entered the crazy lady category it would be the crazy orchid lady rather than the crazy cat lady. I can just imagine them filling up our little bathroom completely, the air being all humid and swampy and maybe a few Koi in the bath tub.